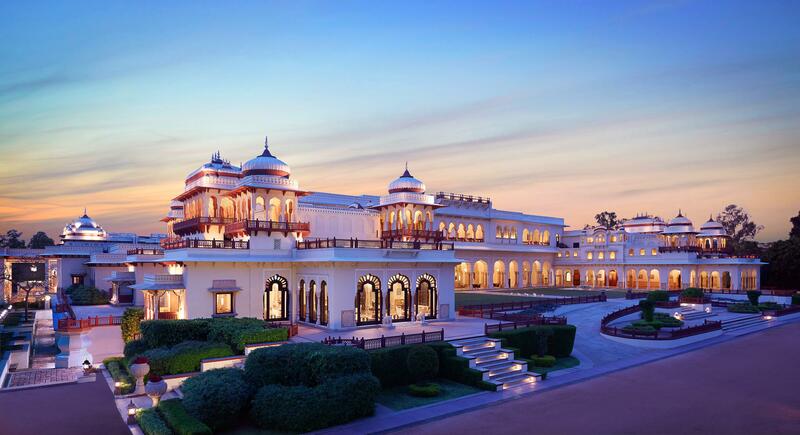 Jaipur based Rambagh Palace has been ranked amongst the top 25 in ‘The Top 100 Hotels in the World’ by the prestigious Travel + Leisure 2018. Ranked 24, the hotel scored 96.33 out of 100 marks. It is to be noted that last year Rambagh Palace had been ranked 43 by the same magazine. This year it has shown a marked improvement in its ranking. Each year for the ‘World’s Best Awards’ survey, Travel + Leisure asks readers to weigh in on travel experiences around the globe – to share their opinions on the top hotels, resorts, cities, islands, cruise ships, spas, airlines, and more. Hotels were rated on their facilities, location, service, food, and overall value. Properties were classified as city or resort based on their locations and amenities. Rambagh Palace is a living legend in Jaipur. It is to be recalled that originally built in 1835, Rambagh Palace, Jaipur has stepped gracefully through many royal transitions. In the finest tradition of Rajput hospitality, the Rambagh Palace offers its guests a taste of royal living – a luxury and extravagance that was once the sole preserve of kings. Its elegantly appointed rooms, marbled corridors and majestic gardens echo with history.